Description: Chesterton was an orthodox religious person, eventually converting to Roman Catholicism. 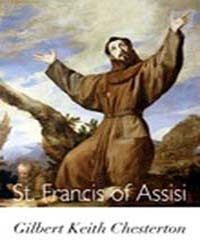 In 1923, he wrote this short biography of St. Francis of Assisi, after whom Cardinal Jorge Mario Bergoglio chose his papal name, Pope Francis, when he was elected as the 266th and current Pope of the Catholic Church, on 13 March 2013. The biography of St. Francis may help one understand why the Pope chose St. Francis as his namesake. Chesterton begins: A sketch of St. Francis of Assisi in modern English may be written in one of three ways. 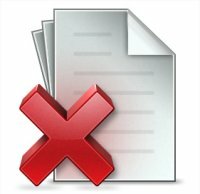 Between these the writer must make his selection; ... First, he may deal with this great and most amazing man as a figure in secular history and a model of social virtues. ... Second, he may go to the opposite extreme, and decide, as it were, to be defiantly devotional. ... Third, he may try to do what I have tried to do here; ... I am here addressing the ordinary common man, sympathetic but sceptical, and I can only rather hazily hope that, by approaching the great saint's story through what is evidently picturesque and popular about it, I may at least leave the reader understanding a little more than he did before of the consistency of a complete character; .... Here is an historical character which is admittedly attractive to many of us already, by its gaiety, its romantic imagination, its spiritual courtesy and cameraderie, but which also contains elements (evidently equally sincere and emphatic) which seem to you quite remote and repulsive. But after all, this man was a man and not half a dozen men. What seems inconsistency to you did not seem inconsistency to him. Let us see whether we can understand, with the help of the existing understanding, these other things that now seem to be doubly dark, by their intrinsic gloom and their ironic contrast.